To create punk rock with a distinctly British sound’ is the premise that brought the three members of Despondent together in 2004. Over the past four years this philosophy has taken them thousands of miles, seen them play with bands such as Useless ID, Red Lights Flash, Big D and the Kids Table and now brings them to their third studio release ‘Confined’. Recorded by the legendary producer Ryan Greene (Bad Religion, Nofx , No Use For A Name) in his ‘Crush Recording Studio’ (Phoenix, AZ) the Five song E.P, the band feel, is a marked progression from their previous releases. ‘Confined’ combines the catchy choruses of the bands second E.P, ‘Fake’, and the politically charged lyrics of their debut album ‘Proud to Fail’. At a pace that exceeds all of their previous material, the new songs have been performed to perfection, all under the watchful eye of Ryan Greene. Each song has a clear meaning and is delivered from start to finish with spirit and honesty. 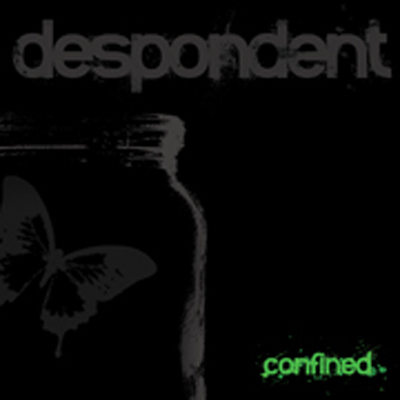 This E.P represents Despondent in 2008 at their best.